Nowadays, the financial sector always looks for innovative ways to address the increased risk of fraudulent transactions across the world. The continuous evolution in biometric technology creates interest among some banking and financial fraternity due to its high-quality security features. Currently, the financial systems such as ATMs, web apps, point-of-sale (POS) terminals are the main targets for fraudsters. Biometric authentications can be considered as the best way to prevent such activities and achieve promising results. Real-time power of biometrics lies in Artificial Intelligence and it not only improves the identity practices but also helps in ensuring the assets of banks and financial institutions. Secure Online Transactions: Over the years, the banking sectors is updating their processes to eradicate massive cyber-attacks during financial transactions. 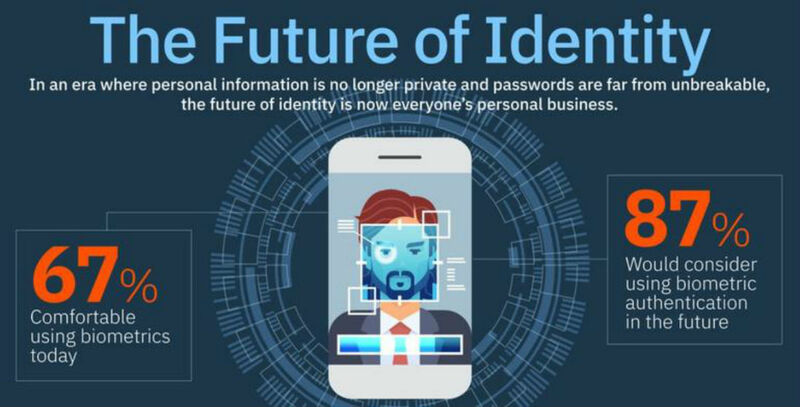 Sometimes, customers lose their hard earned money due to identity thefts, this is where the importance of biometric authentication has come into existence. ATMs Authentication: ATMs authentication is considered as the best approach to reap amazing benefits to both banks and customers. The process allows customers to make financial transactions without using even their bank cards, while banks can stay free from liabilities and charges of customer problems caused due to stolen or lost bank cards. Accurate and Fast Branch Banking: With the help of biometric authentication technology, banking sectors can reap great benefits through accurate and fast identification. Customers can be authenticated instantly in just a second through the fast biometric scanner. Protecting Confidential Banking Information: Biometric technology offers the strongest process for authentication that keeps all the confidential banking information protected by customers. Thus, customers don’t need to compromise on any unauthorized transactions. Security Against Internal Theft: Biometric security system on the back end should be vital for financial transactions. This ensures reducing fraud and identity protection and helps banks to have protections against internal thefts by establishing accountability, secure employee authentication, and a concrete audit trail. For economic development and building loyalty among customers, banks and other financial institutions need to provide more secure and convenient banking services to customers. However, there are many more features of the biometric authentication system that leads to secure and fast online financial transactions and also, provide a great user experience. Are you also looking for secure online transactions through just a fingerprint? JC Pay can offer you all with a security feature of user’s fingerprint and offers the whole gamut of BFSI (Banking, Financial Services and Insurance) services. It is a mobile-based one-stop solution for a wide range of services including Domestic Money Transfer, Aadhar Enabled Payment Services, M-POS, Utility Bills, UPI, and Value-Added Services.